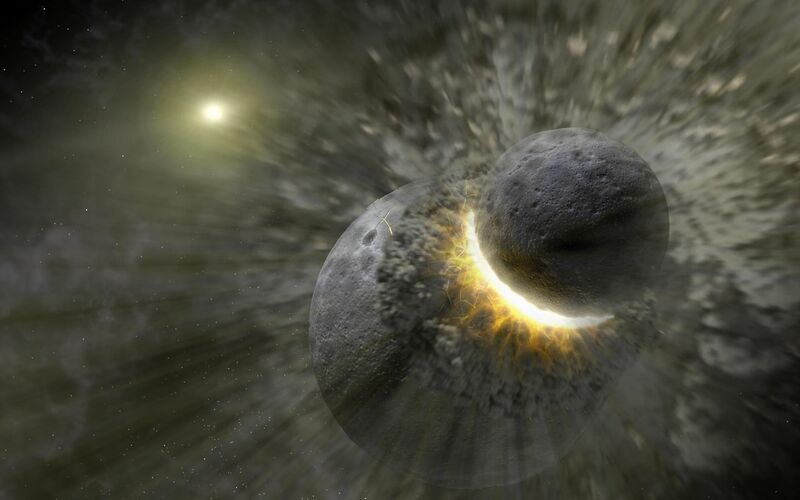 This artist concept illustrates how a massive collision of objects perhaps as large as the planet Pluto smashed together to create the dust ring around the nearby star Vega. New observations from NASA's Spitzer Space Telescope indicate the collision took place within the last one million years. Astronomers think that embryonic planets smashed together, shattered into pieces, and repeatedly crashed into other fragments to create ever finer debris. 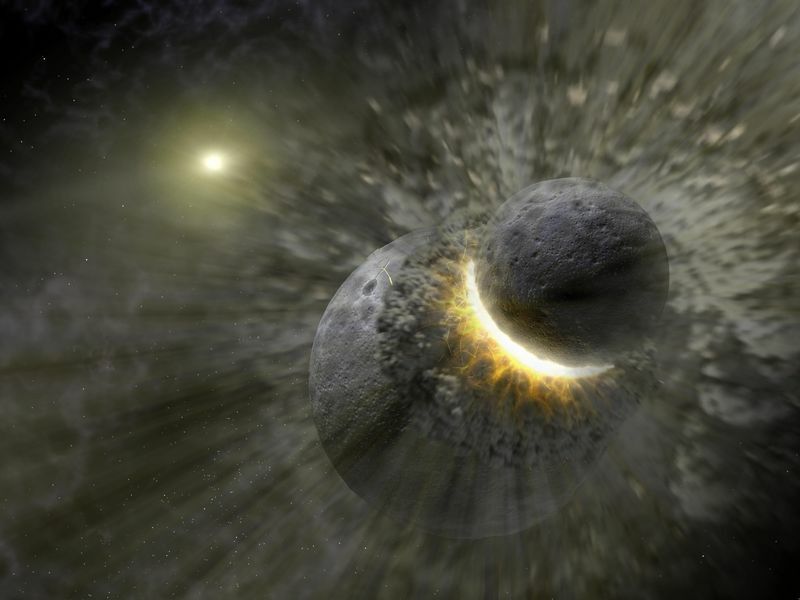 In the image, a collision is seen between massive objects that measured up to 2,000 kilometers (about 1,200 miles) in diameter. Scientists say the big collision initiated subsequent collisions that created dust particles around the star that were a few microns in size. Vega's intense light blew these fine particles to larger distances from the star, and also warmed them to emit heat radiation that can be detected by Spitzer's infrared detectors.